This kit is designed to treat all major water sources including well water and water treated with chloramines or chlorine. 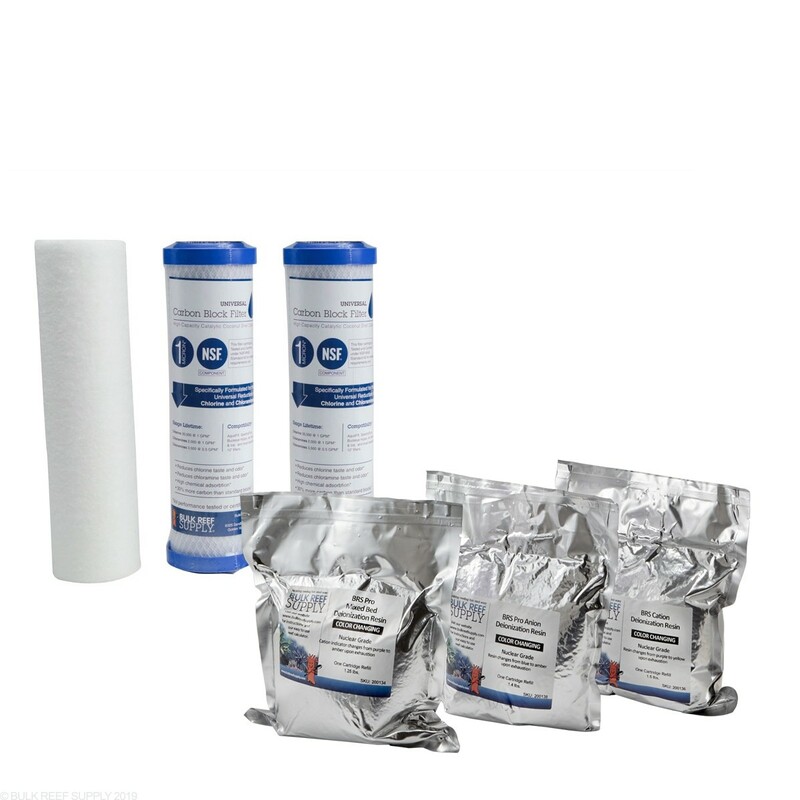 This kit will work with all BRS 7 Stage Pro RO/DI Systems and most other RO/DI units on the market today that use industry standard 10” filters and have three DI stages for the individual single bed and mixed bed resins. 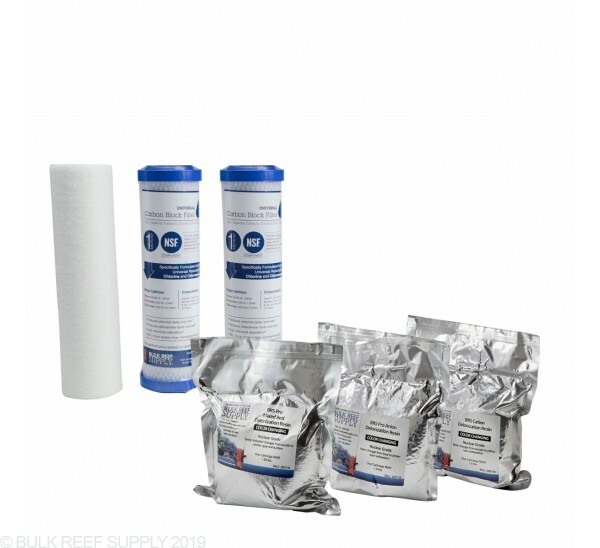 The 7 Stage Pro RO/DI Replacement Filter Kit has been upgraded with the latest in carbon block technology and the best 7 stage RO/DI solution to universally treat for chloramines, chlorine and well water. The kit includes the upgraded GE 1 micron ROSave.Z true graded density depth sediment filter, two 1 Micron BRS Universal Carbon Blocks and a single cartrdige refill of BRS Pro Cation, Anion and Mixed bed deionization resins. This kit can be used with 7 Stage Pro BRS RO/DI systems, legacy BRS systems and all major competitor triple DI 7 stage RO/DI systems that use standard 10” filters. BRS Pro Deionization Resins are packaged in foil-lined 4mm Mylar bags and vacuum sealed to maintain maximum storage life and effectiveness. Shipping was great actually got it a day before promised. After mounting on my "mobile water cart" I purged the membranes/carbon block fines and then started making water. I had enough water to fill my 24 gallon tank with plenty to spare in a few hours. Hook up and use of the stem was easy and the TDS meter was simple to use. I would recommend this to any one for all types of tanks as water is the back bone of our tanks life support. Made changing 6 stage filter to a 7 stage easy. There is not an exact number of gallons that it can filter through before being exhausted. That all will depend on your source water quality and the amount of water you make. We recommend replacing them every 1-3 months.